Meat Roll with fresh veggies and Hummus. So, how did I use my Hummus yesterday. 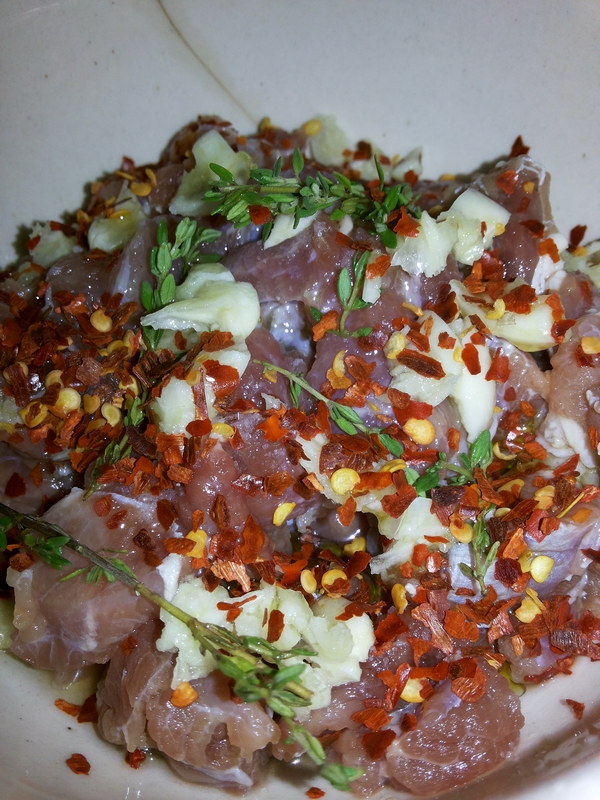 I marinated some boneless goat meat in garlic, chili flakes, salt, palm vinegar, fresh rosemary and olive oil for 3hrs. Cooked the marinated meat in a mud pot, when the the meat was cooked left the lid of the mud pot open and let the meat to roast. Made a few wheat roti’s, cut a few veggies length wise (carrot, cucumber, onions and tomatoes). 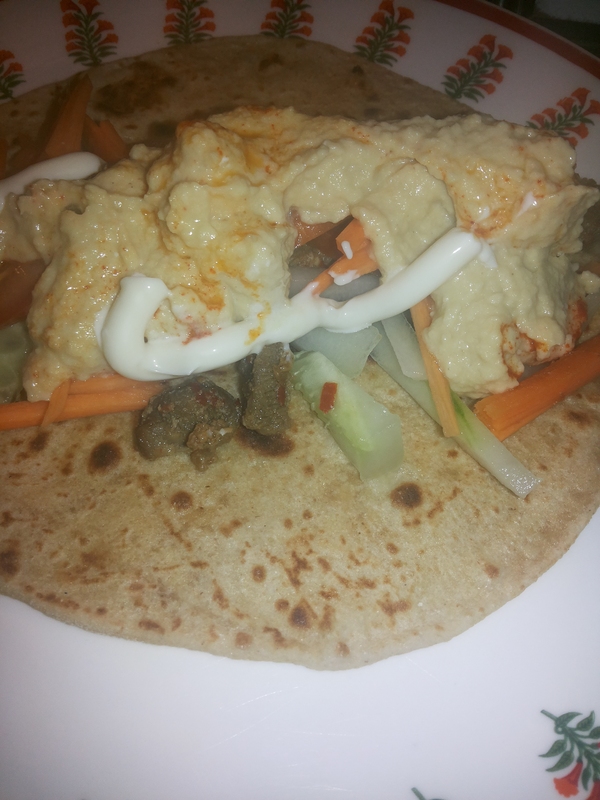 loaded the roti’s with roasted meat, fresh veggies and garnished with Hummus and a very little mayo. Rolled it and enjoyed it. It tasted like Shawarma.